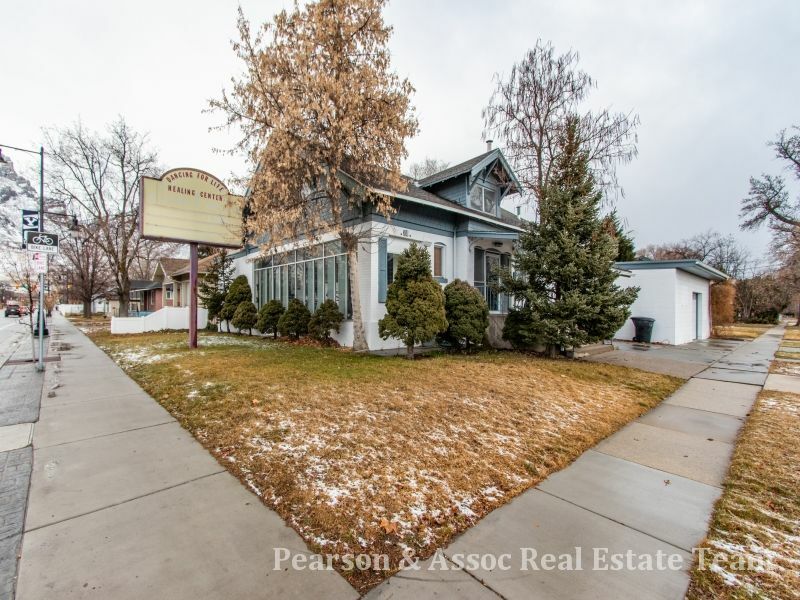 ONE OF A KIND COMMERCIAL PROPERTY IN CENTRAL PROVO! One bedroom one bathroom apartment in attic with an outside entrance, basement has two bedrooms with showers (could be used for a massage business). Events room on main level plus a kitchen, bathroom, office, and a large visitors room with an electric fireplace! Built in 1913 with 6438 square feet! Walkout basement into events room, large back room for overflow or several bedrooms. Updated wiring and plumbing! Call 877-249-2188 ext.3050 or text MICAH50 to 79564 Pearson & Assoc. Real Estate Team / Realtypath*Call for more info on this property & other surrounding properties or visit www.utahs1stopsearch.com/searchHI!